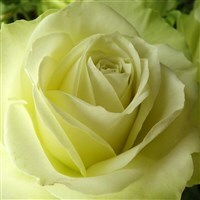 - has created what many consider to be one of the most beautiful, fragrant rose gardens in the world. 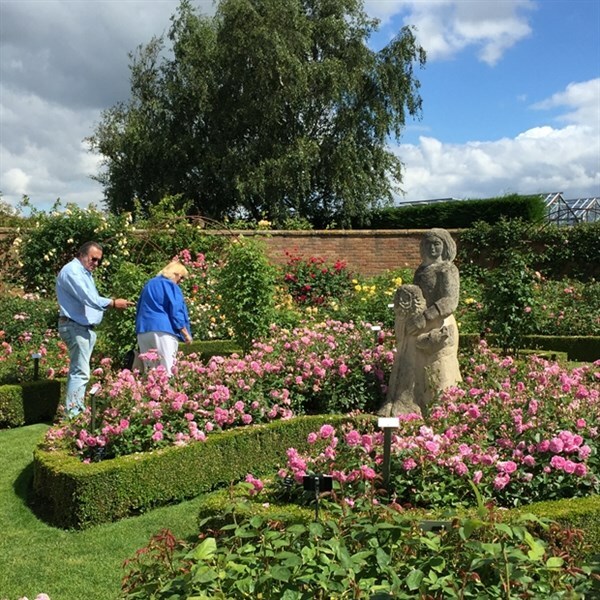 Explore the 5 themed gardens, which are home to over 700 different rose varieties, including the National Collection of English Roses. We take a guided tour. Beautiful, Award Winning, Wollerton Old Hall Gardens - is set around a 16th Century Hall House and has developed into an important modern garden in the English Garden tradition with echoes of Arts and Crafts. The planting style is controlled exuberance with a definite emphasis upon perennials. There is much in the garden for the plant enthusiast and the garden is bursting with design ideas. Blists Hill Victorian Town - Welcome to the age of Queen Victoria. Here youll experience what life was like when Britain ruled the world. Meet some (almost) real Victorians in their authentic shops and cottages, buy curious goods from a bygone era and watch tradespeople in action in their atmospheric workshops and factories. No cars. No TV. Just fun! 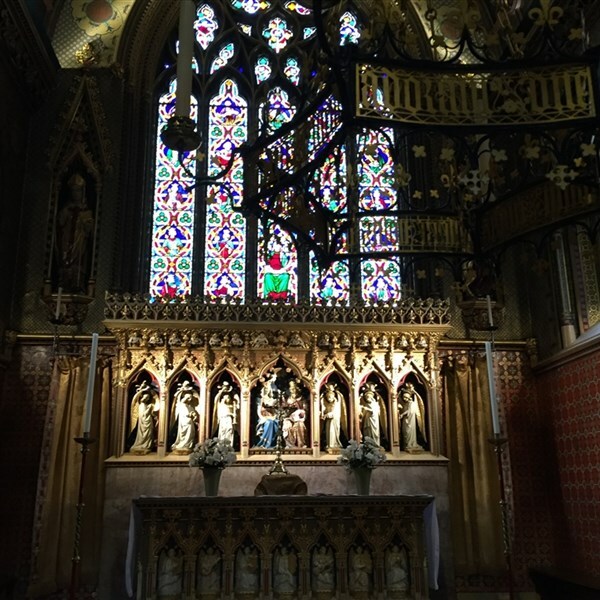 Historic Shrewsbury - A guided tour - Shrewsbury... or is it Shrowsbury? 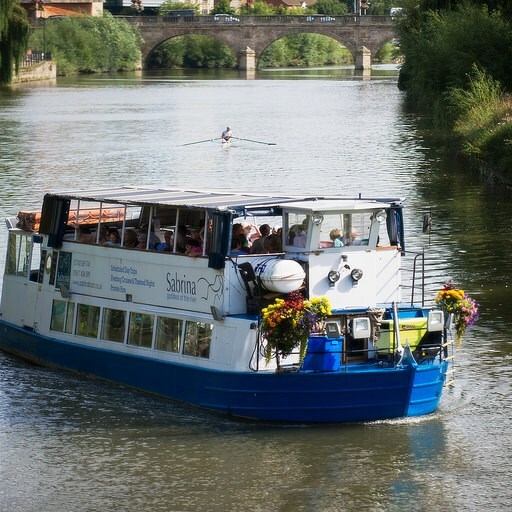 lies within a giant loop of the river Severn and is famed for its castle, spires, abbey, parklands and half-timbered medieval houses. 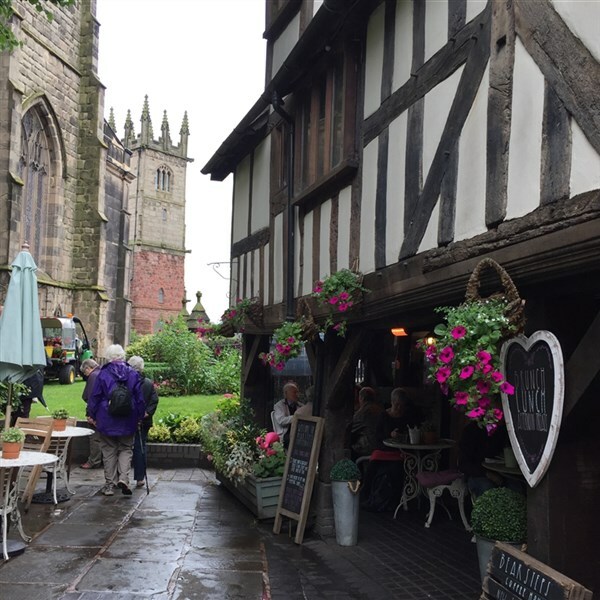 Our guide will show us through Shrewsbury's Shuts and Passages - a unique maze of narrow alleys which criss-cross the town centre - part of the town's medieval street plan. Severn Valley Heritage Steam Railway - A wonderful way to spend an morning - aboard a heritage passenger train from Bridgnorth, along the beautiful Severn Valley. Spectacular, beautiful Ironbridge - Here the first large scale production of cast iron was developed using a process pioneered by Abraham Darby. Items made in Ironbridge were shipped all over the world. In 1779 the worlds first cast iron bridge was built spanning the River Severn - beautifully constructed, totally innovative. Today the Ironbridge is a UNESCO World Heritage Site and is regarded as the birthplace of the Industrial Revolution. RAF Air Museum Cosford - The fascinating, award winning home to over 70 historic aircraft, displayed in three wartime hangers. See a Vulcan bomber and the worlds oldest Spitfire. 4* Telford Hotel & Golf Resort - Each of the contemporary bedrooms, has 24 hour room service and free Wi-Fi. Enjoy the health club, with gym and indoor swimming pool. IMPORTANT! HOLIDAY TRAVEL INSURANCE A client holiday travel insurance scheme to cover Cancellation, Baggage and Personal Accident is now available for passengers travelling on our holidays. Should you wish to take out this travel insurance the premium of £19.75. pp. Please ask us for details when booking your holiday. We will not provide you with advice about the suitability of this product for your individual needs but will be happy to provide you with factual information. This is arranged by Wrightsure Services (Hampshire) Limited and approved by the Financial Conduct Authority which is permitted to advise on and arrange general insurance contracts.